The most-used instrument on the orbiting Hubble Space Telescope is back in business after engineers on the ground determined a fault that halted the camera’s science observations earlier this month was caused by erroneous telemetry data, and was not a symptom of a hardware failure as initially suspected. Hubble’s Wide Field Camera 3 halted observations Jan. 8 when the it autonomously detected unexpected voltage levels inside the instrument, and engineers began analyzing data from the telescope to diagnose the source of the problem. 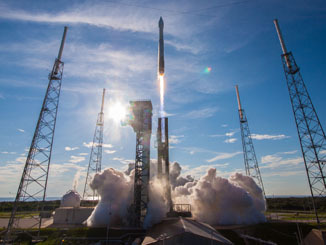 It turned out the voltage data that caused the instrument to suspend its observations was incorrect. The Wide Field Camera 3, or WFC3, instrument contains a redundant set of electronics that controllers could have activated, but the backup systems were not needed. Engineers uplinked commands for Hubble to reset telemetry circuits on the WFC3 instrument, and all voltage values were normal when the camera came back online. 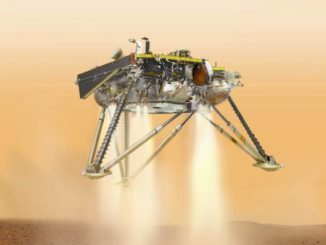 Officials planned further investigation to determine why the voltage data values were originally erroneous, NASA said. Wide Field Camera 3 resumed science observations Jan. 17. Hubble’s other science instruments, which include another imager named the Advanced Camera Surveys, the Cosmic Origins Spectrograph, and the Space Telescope Imaging Spectrograph, were unaffected by the Wide Field Camera 3 problem. Their observations continued uninterrupted while engineers analyzed the WFC3 voltage issue. All the instruments use light collected through Hubble’s 7.9-foot (2.4-meter) primary mirror, then routed through the telescope to camera and spectrograph detectors. Astronauts on the space shuttle Atlantis’s STS-125 servicing mission in May 2009 installed Wide Field Camera 3 into Hubble’s science bay. 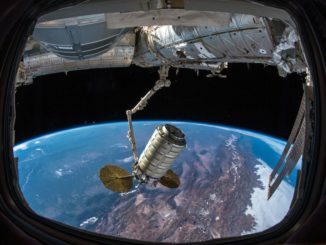 Jointly developed by NASA engineers at the Goddard Space Flight Center, the Space Telescope Science Institute, and Ball Aerospace, the instrument is designed for wide field imaging of stars, galaxies and planets in our own solar system. The camera was also the instrument that first detected Ultima Thule — formally named 2014 MU69 — the distant object in the Kuiper Belt a billion miles beyond Pluto visited by NASA’s New Horizons spacecraft during a speedy encounter New Year’s Day. Nearly 29 years since its launch, and almost 10 years after the fifth and final shuttle servicing flight to repair and upgrade the observatory, the Hubble Space Telescope continues collecting high-quality science data unparalleled by any other space astronomy mission. But Hubble is showing signs of its age. 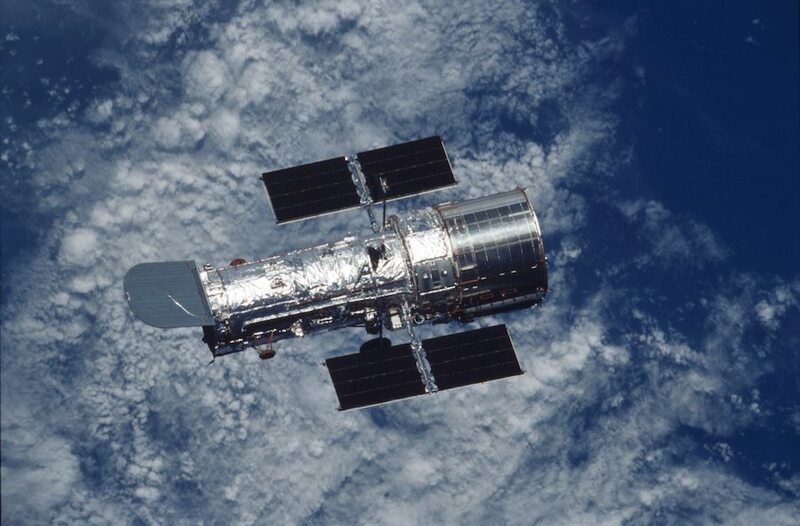 Science observations with Hubble were halted for three weeks in October after the failure of one of the spacecraft’s gyroscopes, which control the telescope’s pointing. The gyro failure left Hubble with three of its six gyros still in operation, and when controllers brought up a reserve gyro, the device showed higher rates than normal. Controllers were able to bring the gyro rates to within usable levels, and Hubble resumed observations in late October using three operating gyros. The observatory can function with a single gyro if needed, but such an operating mode limits Hubble’s observations to certain swaths of the sky. Astronauts on the last shuttle repair mission in 2009 installed six new gyroscopes to extend Hubble’s operating life. The three gyros still in operations are “enhanced units” with a longer design life, and all three failed units were based on the older design, according to Tom Brown, head of the Hubble Space Telescope mission office at the Space Telescope Science Institute in Baltimore, which oversees the mission’s scientific operations for NASA. “The three gyros that are left, that we’re operating on right now, are all these enhanced gyros, unlike the ones that have failed to date,” Brown said. “They’re supposed last time five times longer, approximately, compared to the other style. So we’re expecting to last on the gyros we’re operating on now for a long time. “The same goes for the instruments,” he continued. “Wide Field Camera 3 and COS (Cosmic Origins Spectrograph) have a bunch of redundant electronics systems in them that have not even been tapped yet in the whole decade they’ve been up there. After you use something for a while, whether it’s in space or in your house, like a light you turn off and on every day, stuff eventually wears out and breaks on it. But that’s why we build these things with redundancies. NASA wants Hubble to continue its mission at least until the launch of the James Webb Space Telescope, an oft-delayed mission now scheduled for liftoff in 2021. Webb will fly with a bigger mirror than Hubble, expanding the vision of astronomers deeper into the cosmos. But with the space shuttle retired since 2011, there is no way to install more hardware upgrades or replace failed equipment on Hubble. “We still expect to be using (Hubble) until 2025, or maybe even longer, depending on how things go,” Brown said.